Curry is a dish that is popular in India, Pakistan, Bangladesh, Sri Lanka, and other South East Asian countries. Each culture has a different way of serving curry. Compounds found in curry are being investigated as a way of improving drug response in patients with advanced bowel cancer in a new study launched today (Monday). Scientists at the Cancer Research UK and National Institute for Health Research Experimental Cancer Medicine Centre (ECMC) in Leicester will investigate whether tablets containing curcumin – found in the spice turmeric – can be safely added to the standard treatment for bowel cancer that has spread. Earlier studies have shown that curcumin can enhance the ability of chemotherapy to kill bowel cancer cells in the lab. The trial is being funded by Hope Against Cancer, The Royal College of Surgeons and the Bowel Disease Research Foundation. Patients with advanced bowel cancer are usually given a treatment called FOLFOX, which combines three chemotherapy drugs. But around 40-60 per cent of patients don't respond and, of those who do, side effects such as severe tingling or nerve pain can limit the number of cycles patients can have. Chief investigator Professor William Steward, ECMC director at the University of Leicester, said: "Once bowel cancer has spread it is very difficult to treat, partly because the side effects of chemotherapy can limit how long patients can have treatment. The prospect that curcumin might increase the sensitivity of cancer cells to chemotherapy is exciting because it could mean giving lower doses, so patients have fewer side effects and can keep having treatment for longer. "This research is at a very early stage, but investigating the potential of plant chemicals to treat cancer is an intriguing area that we hope could provide clues to developing new drugs in the future." Around 40 patients with bowel cancer that has spread to the liver will be recruited to take part in the study at Leicester Royal Infirmary and Leicester General Hospital. Three quarters of these will be given curcumin tablets for seven days, before being treated with FOLFOX. The remainder will receive FOLFOX only. Colin Carroll, a 62-year-old compliance consultant from near Loughborough, agreed to take part in the trial after being diagnosed with advanced bowel cancer in January. "The diagnosis came as a big shock because I'd had no symptoms apart from some occasional cramps," said Colin. "I'd had a few tests which had come back clear and I'd just been booked for a CT scan when I was rushed to hospital with a suspected intestinal blockage." Scans showed Colin had bowel cancer which had spread to his liver and, three days after being admitted to Leicester Royal Infirmary, he underwent an emergency ileostomy to bypass the blockage. "It's been like a whirlwind," said Colin who will need to undergo chemotherapy until mid-August. "To have something creep up on you like that when you have absolutely no control over it really makes you want to fight back. That's why I had no difficulty in agreeing to take part in the trial. "I've met some amazing people since January and my treatment on the NHS has been fantastic. The way I see it is that I'm being given the best possible chance so in that sense I feel very fortunate." Dr Joanna Reynolds, Cancer Research UK's director of centres, said: "The Experimental Cancer Medicine Centres Network supports research into some of the most novel and exciting new anti-cancer therapies, often providing the first insights into their effect on cancer patients. 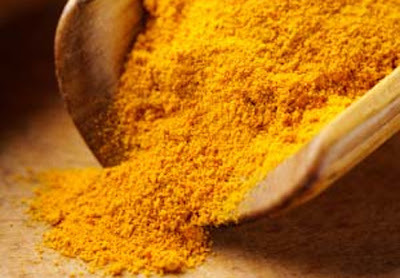 By doing a clinical trial like this we will find out more about the potential benefits of taking large amounts of curcumin, as well as any possible side effects this could have for cancer patients."